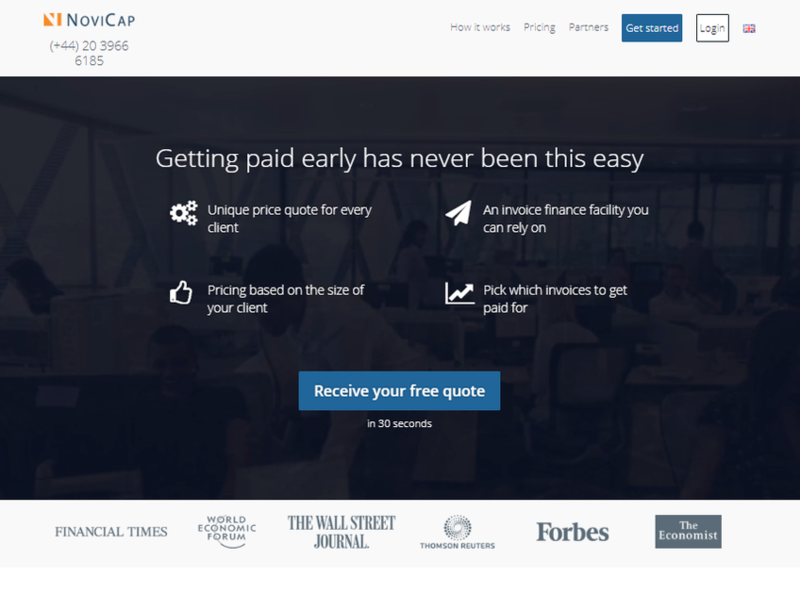 NoviCap, a London, UK- and Barcelona, Spain-based fintech company, recently raised €1M in funding. The round, which brings the total amount raised to date to €3M, was led by Partech Ventures and Techstars Ventures. In addition to the funding, Markus Ament, founder of Taulia, joined NoviCap’s board. The company intends to use the funds to continue to expand in Northern Europe and in the US. Launched in 2015 by CEO Federico Travella, COO Marc Antoni Macia, and CTO Nicolas Overloop, NoviCap allows small and medium enterprises (SMEs) to access the capital locked in their long-dated invoices. To date, the company has financed over 2800 operations.